Are you looking for a fun way to get your kids or teens excited about fitness or staying active? If so, my three children are loving the HOOPERSIZE® by KidTribe! This innovative retail fitness system was developed specifically for children and families. It is so much fun that kids are sure to want to get more active and even the adults will want to try it out with them. In fact, young children (ages 6+) and teens can actually burn up to 100 calories in 10 minutes while having a blast doing it! HOOPERSIZE® is a fitness kit that includes a durable, virtually indestructible full sized Pro-Hoop. I like that it is designed to be thicker and sturdier than other brand hoops so that children can learn awesome tricks while hooping for longer periods of time. It was very easy for me to snap the Pro-Hoop together so within minutes my six year old daughter was ready to HOOPERSIZE®! What makes this fitness kit so exceptional is that it includes two award-winning DVDS that offer instructional music videos to teach tricks, exciting routines and even nutritional tips. It also contains 12 instructional games and a cardio-pumping HOOPERSIZE® CD featuring seven tunes that are upbeat, age appropriate and energizing. 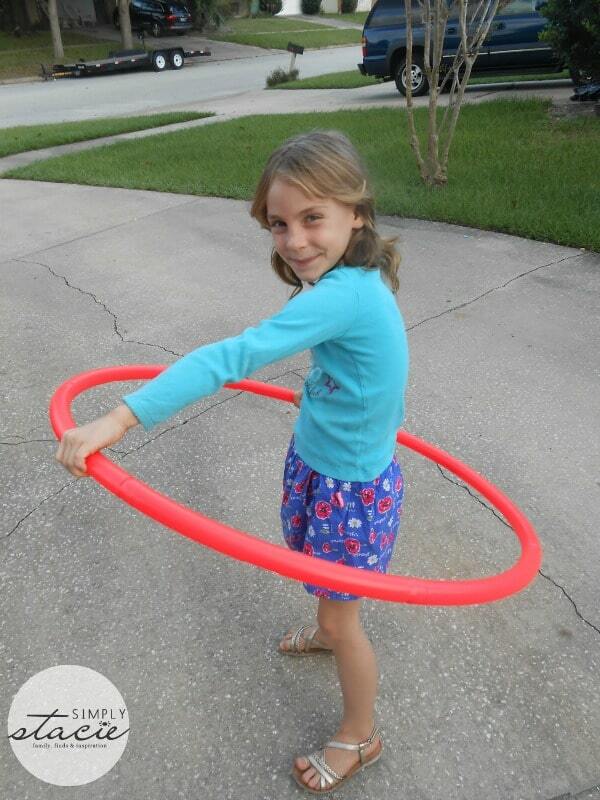 My daughter loves that she can HOOPERSIZE® in the house on rainy days or outside when the sun is shining. It really gets her moving and grooving while having a blast exercising to the music. 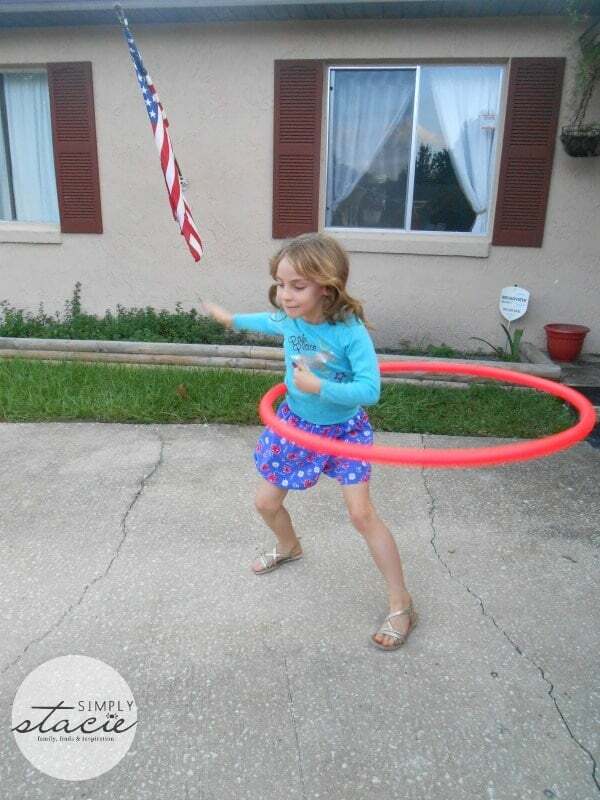 As she becomes more confident in hooping she is even trying to learn a few cool tricks to perform for the family. HOOPERSIZE® by KidTribe would make a great gift idea for the holidays and it is available for purchase for only $39.95 for the entire kit and $24.95 plus shipping for additional hoops. I plan to add two more hoops to our collection so that all three of my children can work out together and even put on a fitness/dance show for the family. 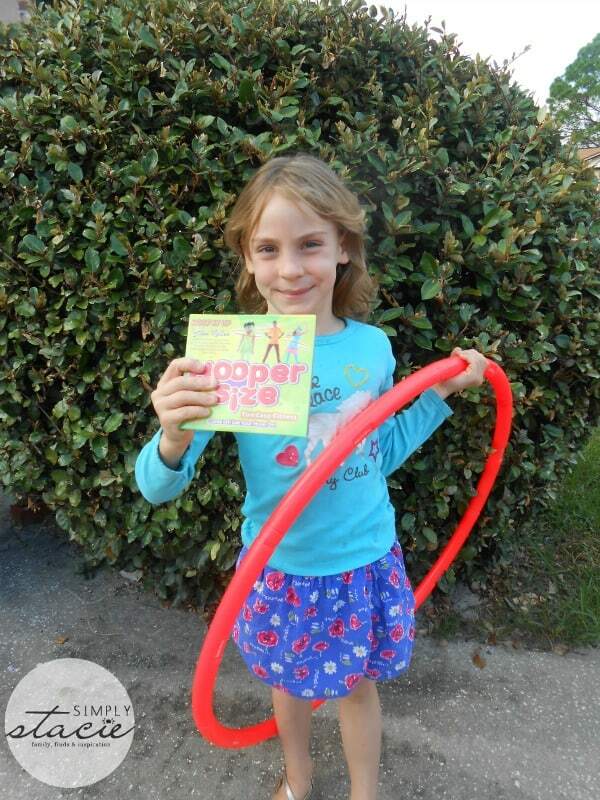 Head over to KidTribe to purchase your HOOPERSIZE retail fitness kit for children and teens….they are sure to love it! Connect with KidTribe on Facebook and Twitter. I like that they have a HOOP-HOP Guide Book for teachers to use. I love that they have music videos to inspire the children to have fun hula hooping. Thank you for the wonderful giveaway! i love the energy in the the videos! gets the kids up and moving to hoop which is a good body exercise. I like that KidTribe was created to keep children active while having fun being active. I learned that Hoopersize won a Parent’s Choice Award in 2008. PARENTS’ CHOICE AWARD RECIPIENT 2008! shop will be coming soon! I like that the HOOPERSIZE is indestructible. Kids can be very rough on toys and other like items. It’s nice taking a classic item like a hula hoop and making it fun and fit. Seems great for just about any kid. I like that the product will not break! That is a feature that is rare among children’s toys! I love the NASA’s “Space School Musical” DVD/CD/CD-ROM! Fun easy fitness. Easy to follow, totally cool. I learned once assembled it will never break or bend! I love the music to get kids into working out! They are awarded in 2008! Once assembled, it will never break or bend.